Well, it's been awhile since I've done this and I'm not exactly sure why. So, here we go! Here's a picture of this little beauty. It seems like something that a goat would be playing in an old cartoon. 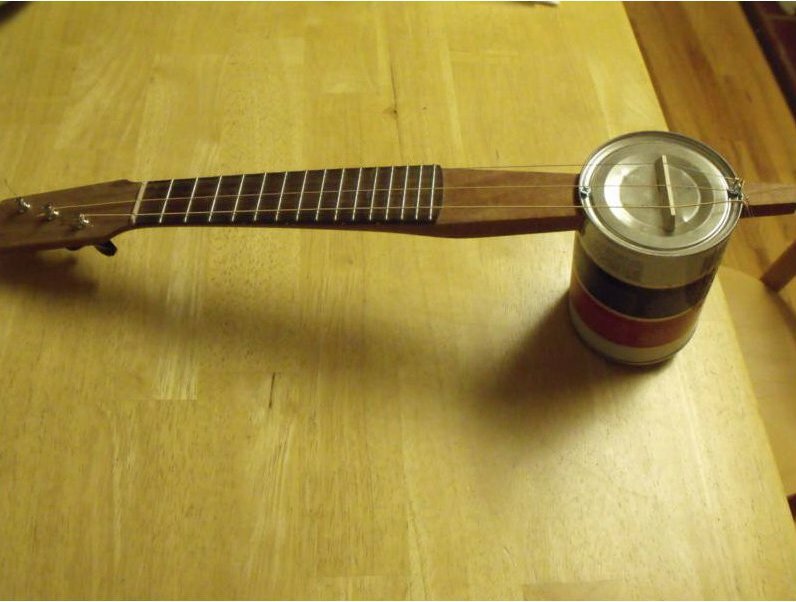 You know, playing his tin can ukulele, chewing tobacco and whatnot. Heh. I'm sort of cracking myself up just thinking about it. I know, I know. I just won't shut up about my new clip-on digital tuner. 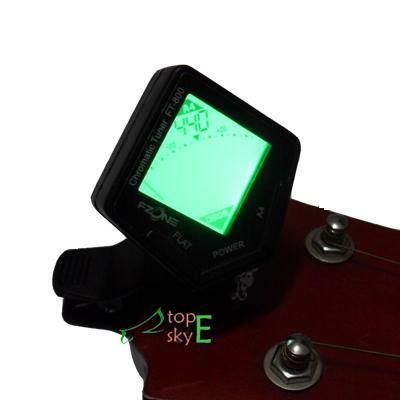 (Review: Intelli IMT500 Clip-on Chromatic Digital Tuner for Strings) It was a freaking steal at $13 but, of course, now I see one listed on eBay with a $.99 starting bid. Way to go Universe... way to make me feel like a chump. But, hay, instead of moping about it, I figured I'd tell you guys about this auction for a Mini Clip On Chromatic Tuner. Although, I guess if I was smart then I only would have told one of you about it so you aren't all trying to outbid each other. Doh! Umm... awesome! Why should Junior Brown have all the fun with crazy double-necked instruments. Should I have to suffer the injustice of a single neck ukulele just because they don't exist. Nope. They do exist! Check out this Double Neck Ukulele. This is definitely a first for me. Although now that I've had a taste, I want more more more! Give me a dual-neck ukulele/tiple combo! That would rule. Although, I should probably get proficient at a single-neck uke before I go getting greedy. So, after my rant earlier about picking, I felt a little bad. If you play guitar/ukulele/bass with a pick, more power to you! It just so happens that I don't. But... now, after finding this rad Silver Pick, I'm starting to wonder if I haven't made a terrible mistake in never learning. Look at these pictures, depending on the price ($9.99 - $14.99) you can get a custom silver pick made from an old silver coin. Fun! Here's some more eBay auctions with different coin picks. Check 'em out! Can someone call my wife and tell her that I've fallen for someone else? I think she'll understand once she sees the pictures. I mean, look at this thing! It's gorgeous! Not only that but it's incredibly rare. I mean, a Rare Martin Pre-War K-3 Soprano Ukulele doesn't just show up every day. Besides the general rarity of this ukulele, though, it's in almost mint condition. Gah! If I only knew people who were worth killing to someone else. Err.. . I mean. Nevermind. No no.. I'd never consider renting myself out as a professional assassin just to pay for a ukulele addiction. That'd be ridiculous.